Fibromyalgia and Hormones: Is There a Link Between Fibro and Hormones? Are your hormones affecting your fibromyalgia? Was your fibromyalgia brought on by a hormone imbalance? Or is fibro messing with your hormones and causing an imbalance? Recent studies suggest these are possibilities. Some of the possible causes of fibromyalgia are genetics, infections, physical or emotional trauma, and now added to that list is hormonal imbalances. However, in some cases it appears that the hormone imbalance come after the onset of fibromyalgia. As with many of fibromyalgia’s companion illnesses, there is the same problem as the chicken and the egg. Which came first, fibromyalgia or hormone imbalance? Regardless of the answer the fact remains that your hormones are closely related to the symptoms you experience with fibro. I began to suspect this was the case when I became pregnant with my first child and was dealing with fibromyalgia and pregnancy. In spite of being off of all medications I had almost no fibro symptoms. This continued until shortly after I stopped breastfeeding my son. Why would pregnancy and breastfeeding make such a drastic difference in the way fibromyalgia affected me? The only answer I could think of was that my hormones are playing a very big role in my fibro. When I became pregnant with my second son, I unfortunately continued to experience a lot of pain. However soon after his birth I had yet another reprieve from fibro pain. I was extremely grateful for this as it made the adjustment of having a second child much easier. But this reprieve did not last. Soon after I weaned my son from breastfeeding the pain was back. My personal experience has led to my delving into research in the relationship between the two. As I have yet to find a doctor who is familiar with the connection, I have found it necessary to be my own advocate. 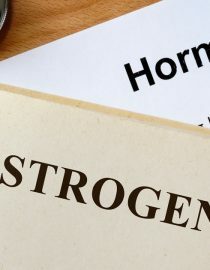 In my research, I found there are many specialists who believe that a low level of androgens, a category of hormones that affects muscle growth, may cause fibromyalgia. But they have not yet found definitive proof that this is true. It has been discovered that many with fibromyalgia have low cortisol levels, known as one of the stress hormones. Low cortisol can lead to sleep disturbances, muscle weakness, muscle pain, and cognitive impairment, also known as brain fog or fibro fog. Sadly though, attempts to correct cortisol deficiency have not been widely effective in the treatment of fibro. Armed with this information, what can we do? While there is no cure, there are supplements and certain dietary changes that can help the body naturally regulate hormone production. Increasing intake of healthy fats. These can be found in coconut oil and avocados. Increasing intake of omega-3, found in flaxseed, chia seeds, and some fish. Omega-3s can also be taken as a supplement. Improving gut health. Avoid processed foods, and other foods that cause damage to the digestive system. Increase intake of gut-healing foods, like fiber-rich vegetables, fermented vegetables, and bone broth. Taking a 5-hydroxytriptan supplement, also known as 5-HTP. This is a naturally occurring chemical in the body that aids in the production of serotonin, a neurotransmitter. Taking vitamin D3. This vitamin interacts with, and has an effect on, the secretion of hormones from the parathyroid glands. Eating maca root. You could also take a maca root supplement. Limit or avoid intake of alcohol. In some cases, medication may be necessary to correct a hormone imbalance. As with any treatment, natural or otherwise, it is a good idea to talk with your doctor and do research into any potential side effects or interactions. Unfortunately there is so little understood about fibromyalgia and what causes it. However with some determination we can each work to find the right combination of vitamins, supplements, medication, and diet to reduce some of fibro’s symptoms, thereby increasing our quality of life.